If you don't know the 99 percent natural beauty brand Burt's Bees, or you have only tried their beautiful lip balms - then this new skincare range should be on your winter hit list. Editor Trudi Brewer shares a sensitive subject - and as solution for irritated skin. Our skin is the first point of call when our body is out of whack. Known as the mirror to our “insides” our skin speaks to us when it is not happy, and the change of season is one time when our skin reacts. When the temperature changes, so does our skin. Often it's visible, think redness, sensitivities, tingling, and breakout! All symptoms of skin that's not happy, skin that could be sensitised. However, when our skin is at peace, balanced and calm, it's joyous and it glows. You don’t have to have sensitive skin to use this latest range from Burt’s Bees. Soothing, honey-based, and infused with a cotton extract, there is a daily moisturizing cream, night cream (in a luxe-y glass jar) eye cream and a non-irritating facial cleanser - all designed to soothe irritated skin - and the entire range is 99 percent natural. Burt’s Bees Sensitive Facial Cleanser , $23. Soap-free, essential for sensitive skins, this cleanser is 99 percent natural, and ideal for washing off makeup, dirt, and oil without leaving the skin feeling tight and dry. It's thanks to the softening cotton extract, present in all the product in this range (there are also facial cleansing towelettes in the range) rice extract and soothing with aloe - plus this tube is ideal for travel. 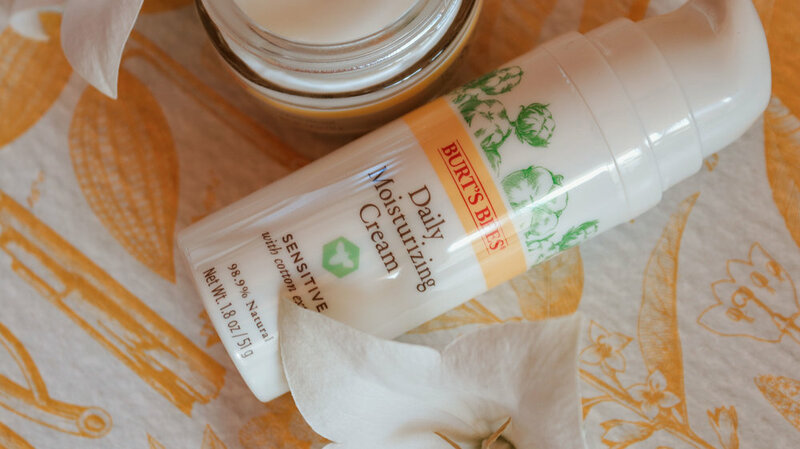 Burt’s Bees Sensitive Daily Moisturizing Cream, $28. The airless pump applicator keeps this cream germ-free, essential for anyone who suffers from extreme sensitivities. Soothing and moisturising it wipes out dryness (which is the cause of wrinkles and irritation). With a base of cotton, rice extract, and aloe, it’s a lightweight day cream ideal for under foundation or sunscreen. 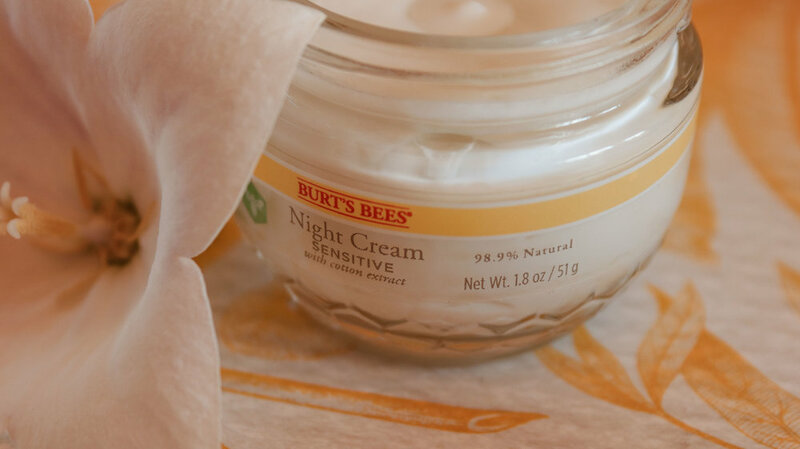 Burt’s Bees Sensitive Night Cream, $28. Our favourite from the range is this little pot of skin joy. Rejuvenating, this night cream hydrates in seconds and wipes out the look of redness and soothes irritation while you sleep. With the same dose of cotton, and rice extract as well a soothing aloe - we adore this luxe-y jar of goodness, and keep it by the bed for last-minute skin pampering before we go to sleep. Burt’s Bees Sensitive Eye Cream, $28. Sensitive skin and puffy eyes go hand in hand. Then comes the fine lines due to skin dryness. This lightweight cream calms with softening cotton extract that works as a shield to potential irritants, while the antioxidant white Genepi herb extract, eyebright complex, rice extract, and aloe soothe and hydrate the delicate skin under the eye area.